Record Guild 2023 picture record. 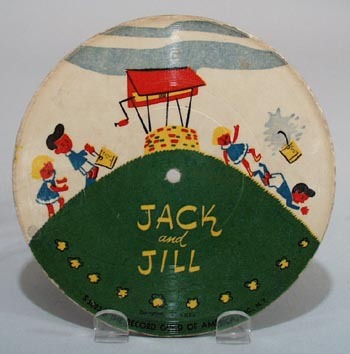 Jack and Jill and Fiddle De Dee have nice graphics under the plastic portion of the record. This is probably from the 1950's as it came from a collection of others and none were newer than 1950, but it is not dated. 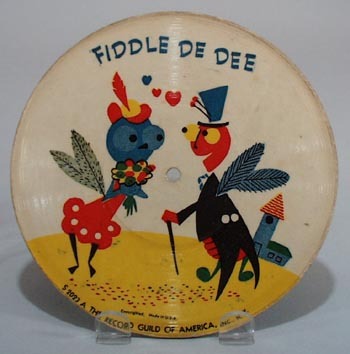 It shows wear, but still very nice.6 1/2""
Items Similar To "Record Guild 2023 picture record"